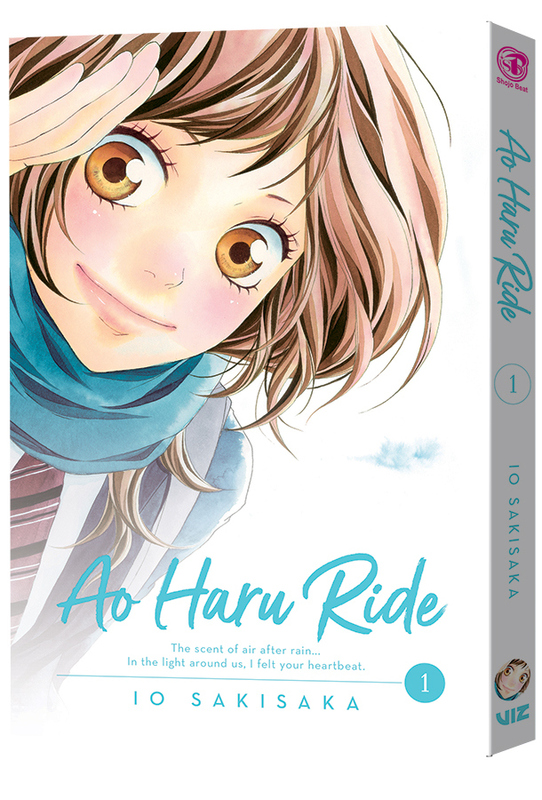 San Francisco, CA – VIZ Media, LLC (VIZ Media), a premier company in the fields of publishing, animation distribution, and global entertainment licensing, announces the launch of a new shojo manga series about high school romance with the debut of AO HARU RIDE on October 2nd, 2018. The series, by creator Io Sakisaka, is rated ‘T’ for Teens and will be published in print and digital editions under the Shojo Beat imprint. Volume 1 will carry a print MSRP of $9.99 U.S. / $12.99 CAN The series also launches digitally on October 2nd via viz.com and the VIZ Manga App, and will be available from the Nook, Kobo, Kindle, iBooks, comiXology, and Google Play stores. Future volumes of AO HARU RIDE will be published by VIZ Media on a bimonthly basis. In AO HARU RIDE, Futaba Yoshioka thought all boys were loud and obnoxious until she met Kou Tanaka in junior high. But as soon as she realized she really liked him, he had already moved away because of family issues. Now, in high school, Kou has reappeared, but is he still the same boy she fell in love with? Manga creator Io Sakisaka made her professional debut with Sakura, Chiru. Her works also include Call My Name, Gate of Planet, and Blue. STROBE EDGE, her previous work, is also published by VIZ Media (rated ‘T’ for Teens). AO HARU RIDE was adapted into an anime series in 2014. For additional information on AO HARU RIDE and other manga titles published by VIZ Media, please visit viz.com.